BMW has announced new three and five door 1 Series models. The new models also get a revised engine line up with better fuel efficiency and in some cases more power. BMW has added its latest gas and diesel 3 and 4-cylinder engine options to the 1 Series line. The engines in the 1 Series use BMW TwinPower turbo technology. 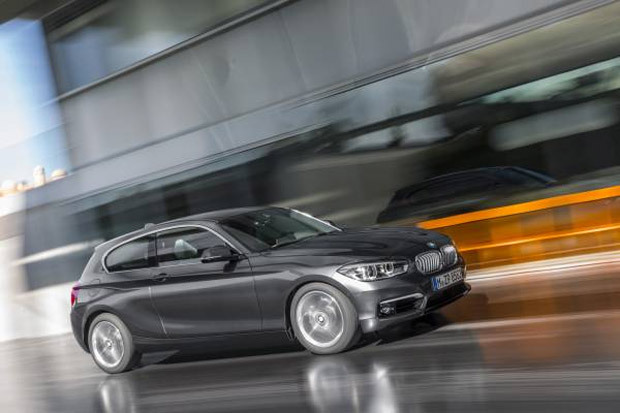 The performance 1 Series car, the BMW M135i gets a power boost from its six-cylinder engine to 326hp. That car has fuel economy of 8.0L/100km and CO2 emissions of 188g/km. The most efficient 1 Series car is the 116d EfficientDynamics Edition with 116hp and fuel consumption of 3.4L/100km and emissions of 89g/km. BMW now also offers optional adaptive suspension, M Sport suspension, variable sports steering, and an M Sport braking system. Radar adaptive cruise control is available with a stop and go function and Parking Assistant for parking in tight spaces. All 1 Series models also have an embedded SIM card for Emergency Call and BMW TeleServices. Those features are free for the first three years of ownership. The new automatic transmission is also assisted in shifting using navigation data.